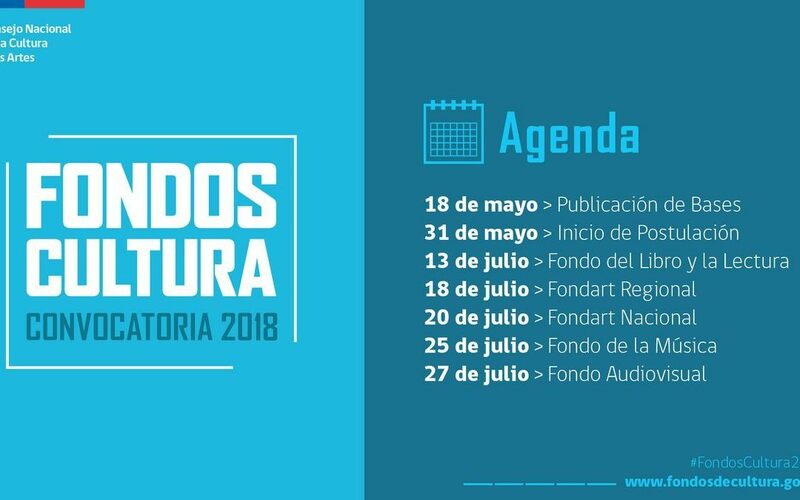 Rules of the competition were published last May 18th so that interested parties may participate –starting May 31st.— for the Fondos de Cultura 2018 (Cultural Fund) at the following link. Among the new developments of this version worth mentioning are the creation of a line for Memory and Human Rights, another to support life’s work, and the introduction of particular modalities for each of Chile’s regions. In the case of the Metropolitan Region, these are Cultural Tourism and Oral Narration. Another surprise of this version, is that those who are looking for voluntary co-financing in their application will no longer need to back the contribution through a pledge letter (letter of commitment), nor account for said contributions in the reports established at the end of the project. As every year, the budget was increased with respect to the previous version; this time by a 4%, reaching a total of $22.789.929.371 Chilean pesos to be distributed among the different artistic and cultural projects to be undertaken during 2018.